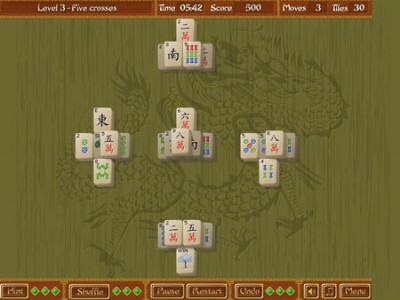 This is a classical Mahjong game with 60 levels. You have to find the matching pairs of tiles and remove them. Available are only those tiles, which can be moved to the left or to the right without moving other tiles. All tiles with a flower for example are matching. You can also use a hint butten.